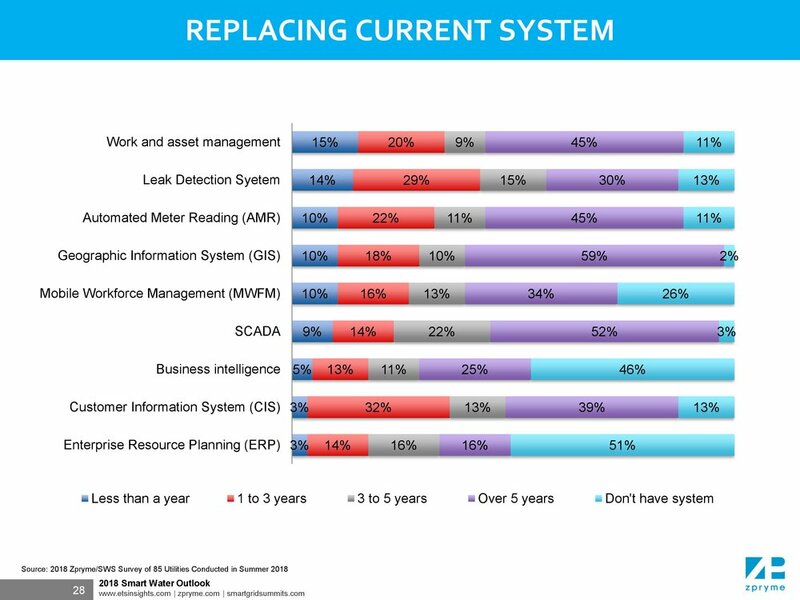 "The Future of the Utility Industry"
This presentation was given on Sunday, August 12, 2018 at the 2018 Smart Water Summit Keynote Address. 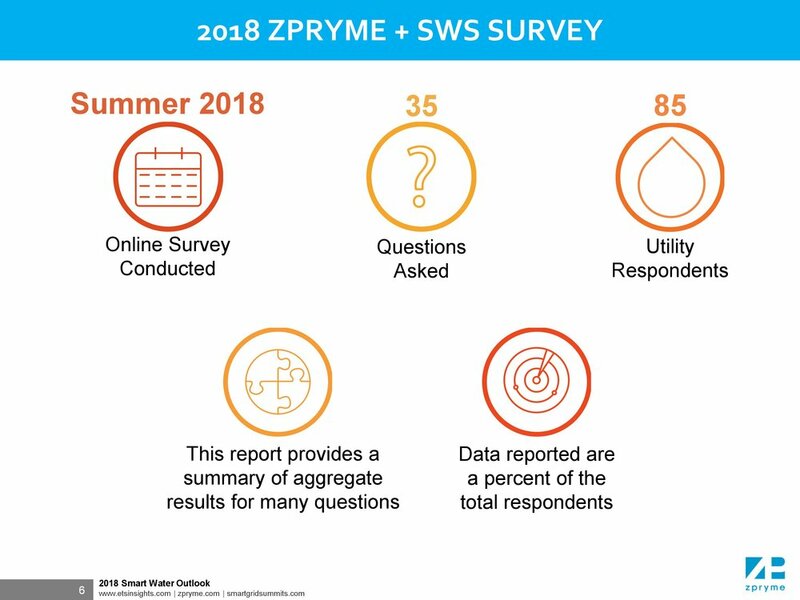 The data collected for these reports was collected surveying the 100+ Water Utilities that participated in the 2018 Smart Water Summit. 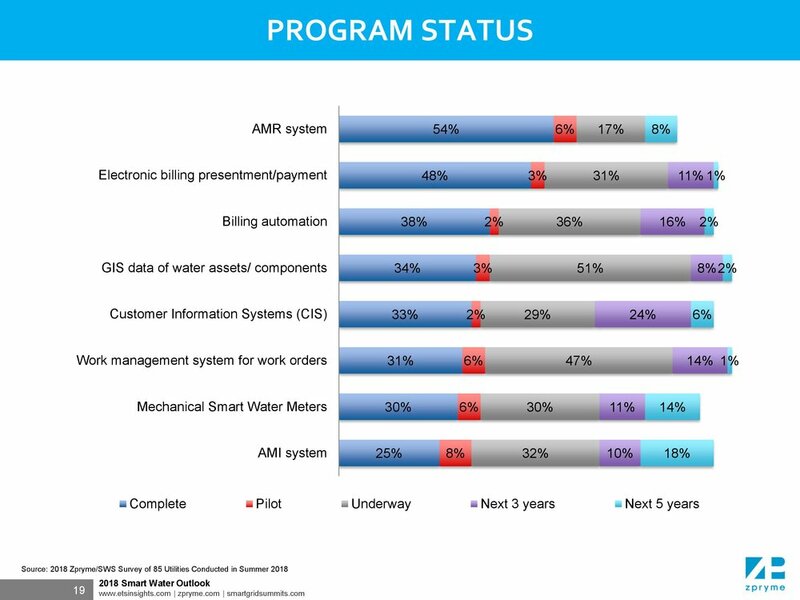 This presentation was given on Monday August 13, 2018 at the 2018 Smart Water Summit Survey Presentation. 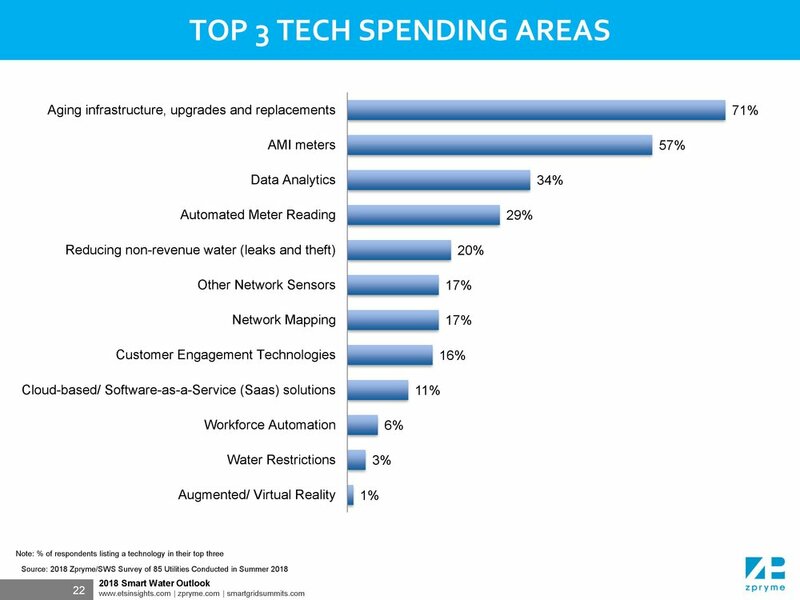 "Applying a Smart Utility Network to Reach Beyond AMI"
This presentation was given on Monday, August 13, 2018 at the 2018 Smart Water Summit Executive Breakfast. 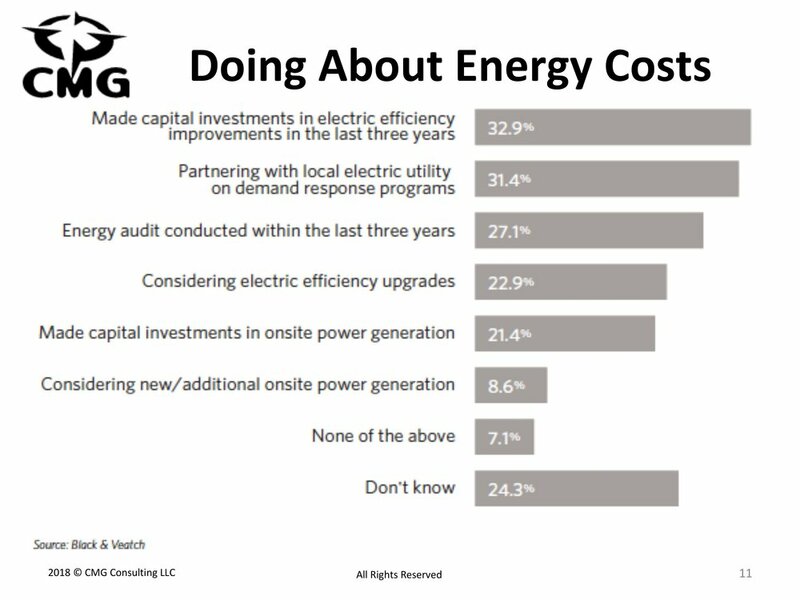 Presented by Ian MacLeod, VP of Marketing, Master Meter Inc. 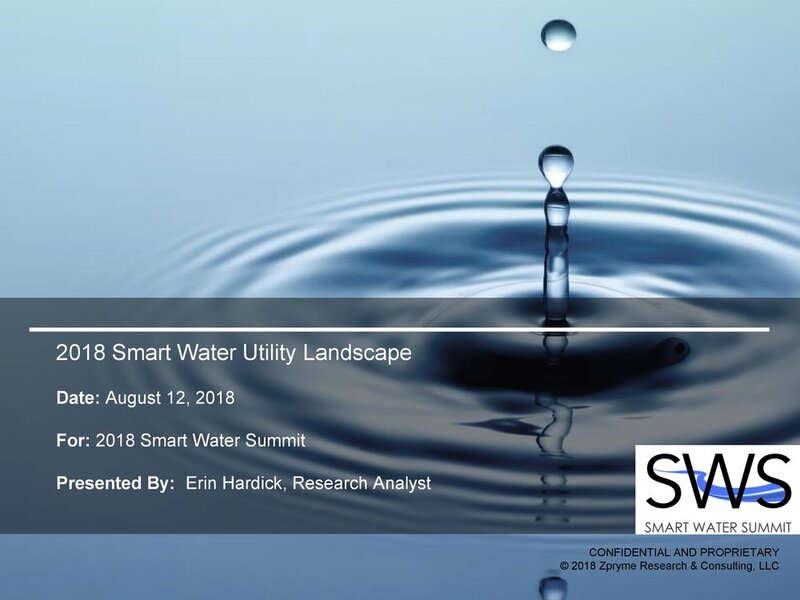 This presentation was given on Monday, August 31, 2018 at the 2018 Smart Water Summit Premier Luncheon. 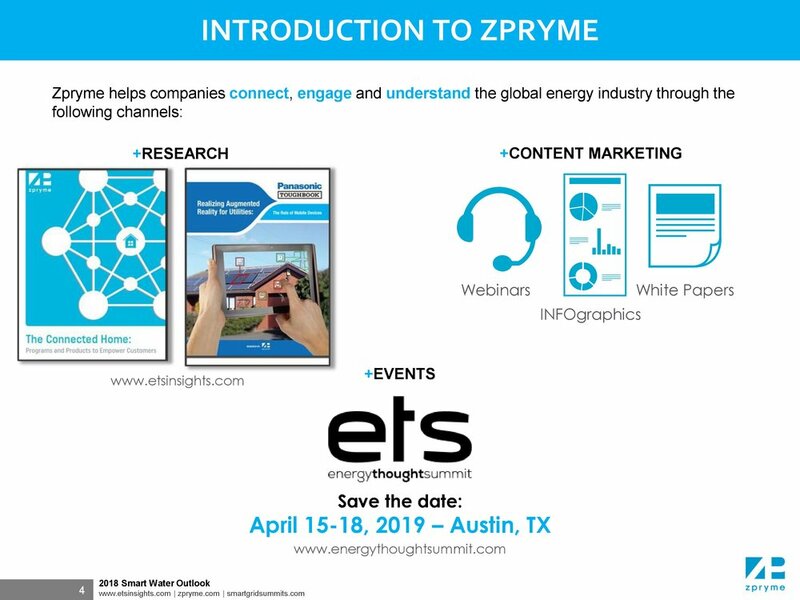 Presented by Andres Carvallo, Founder & CEO, CMG Consulting Inc. 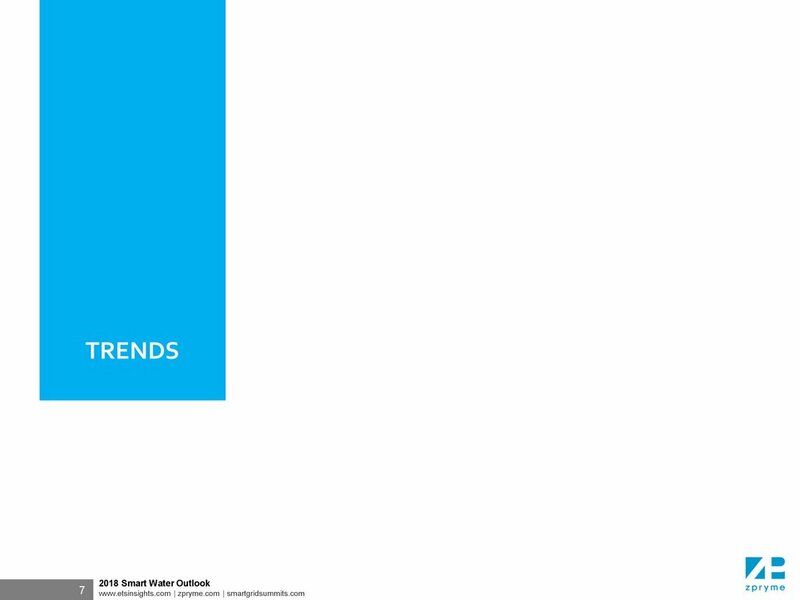 This presentation was given on Tuesday, August 14, 2018 at the 2018 Smart Water Summit Executive Premier Luncheon.